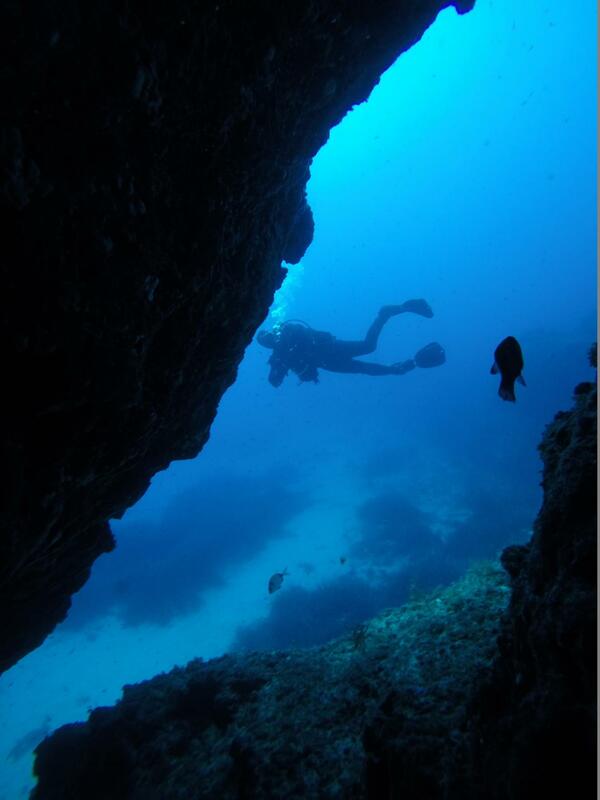 West Reef & Caves is one of the two reef dives in Wied iz-Zurrieq, the other being East Reef. 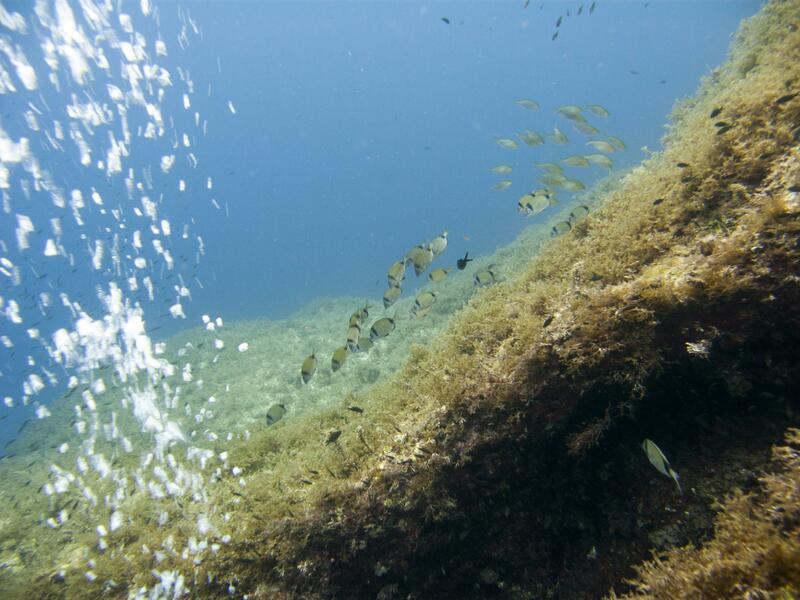 West Reef has drop-offs, ledges, gullies, boulders and two caves surrounded by sea grass and sandy areas. 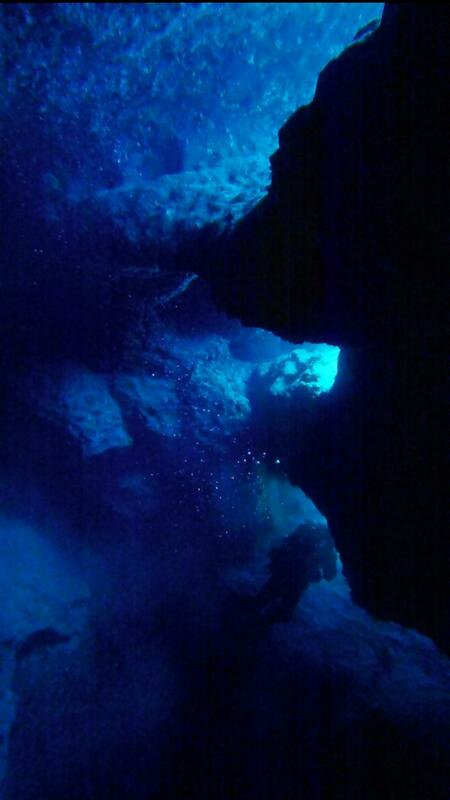 The caves are Bell Tower Cave with three entrances on top of each other, the deepest one at 27 metres, and Mouse Hole Cave, named after its narrow entrance, at 25 metres of depth. 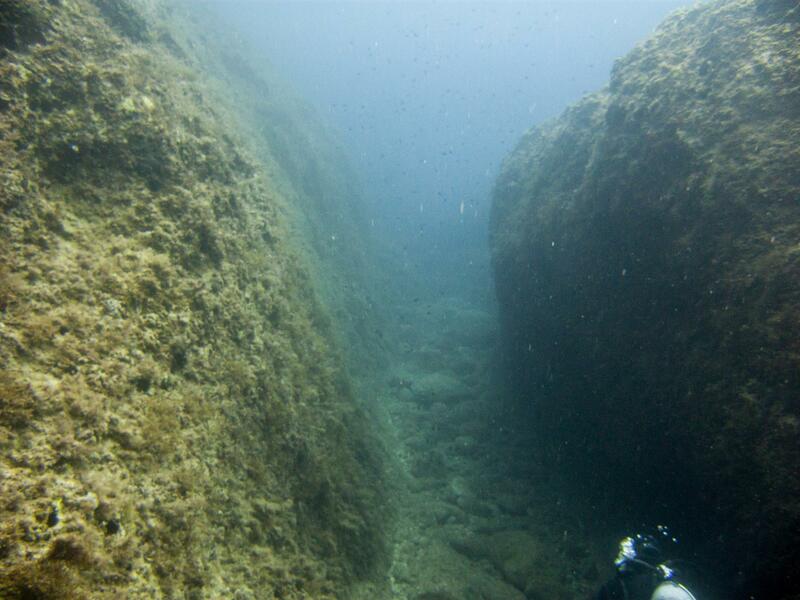 There are also other caverns and holes in the reef for divers to explore. A bit away from the reef there is a diving helmet statue on sand about 28 meters deep. 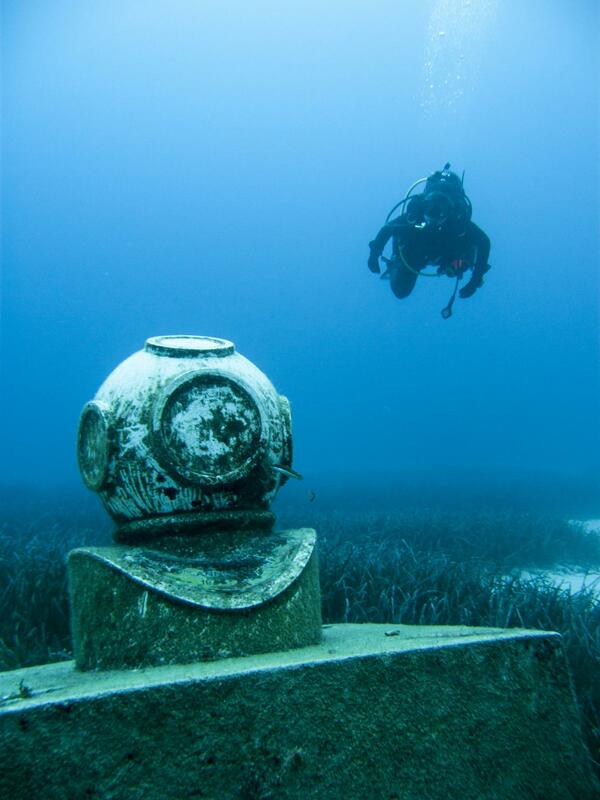 The statue is a full-sized mock-up of an old-fashioned brass diving helmet on a concrete block, sitting on sandy bottom surrounded by fields of seagrass. 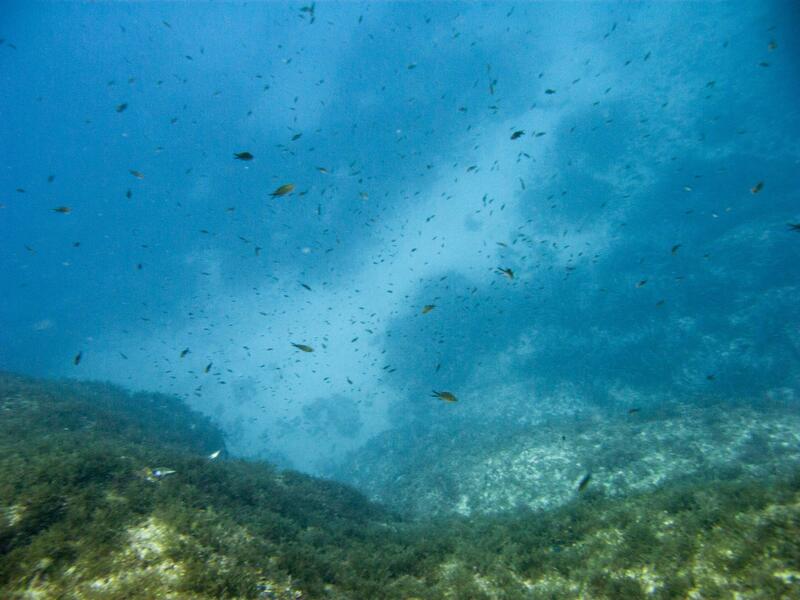 The underwater statue is also a navigational landmark on the way to nearby Um El Faroud wreck. The helmet statue was placed in 2005 by a local Maltese diving club in celebration of their 50th anniversary. ★★★★☆ Caves are nice to explore, but otherwise not much to see.